Slaughterer Israel´s Energy Minister Yuval Steinitz came to Istanbul to attend the 23th World Energy Congress. He met his Turkish counterpart Berat Albayrak as a sign of further diplomatic ties between two countries despite the hard conditions against Palestinians, especially Gazans. The Minister of Energy of Natural Resources of Turkey Berat Albayrak, the son in love of Erdogan and the Minister of Energy of Israel Dr. Yuval Steinitz met on 13th of October in Istanbul. This was the first official ministerial level meeting between the two countries, since the normalization of bilateral relations which represents further restoration in diplomatic ties between two countries after a six-year rift. In the press conference Steintz explained that both ministers welcome the normalization of ties and they expressed their commitment to casting substance into the relations, for the benefit of both peoples. They also stressed the centrality of economic cooperation in the relations, and in particular, the potential of the energy sector. They discussed in detail the option of exporting natural gas from Israel to Turkey and then to Europe. They agreed to establish a dialogue on this issue. Both Ministers expressed their views, stressing the role of the energy sector in the stability and prosperity of the Eastern Mediterranean basin. Steinitz expressed his pleasure to be in Turkey and concluded his words by saying that this is an important moment for Israeli-Turkey relations. Note: Greater Middle East Project means Greater Israeli Project. Turkish President Recep Tayyip Erdogan shook hands with Na’eh’s wife Cheryl, and the couple’s 19-year-old son. Na’eh, who previously served as deputy ambassador of Israel in London joined Israel’s Foreign Ministry in 1991 and specialized in Turkish affairs. He was posted to Ankara in 1993, where he served as Second and later First Secretary. He also served as deputy consul general for press and information at the Israeli consulate in Chciago and later as head o f the Turkish, Greek, and Cyprus desk in Jerusalem. 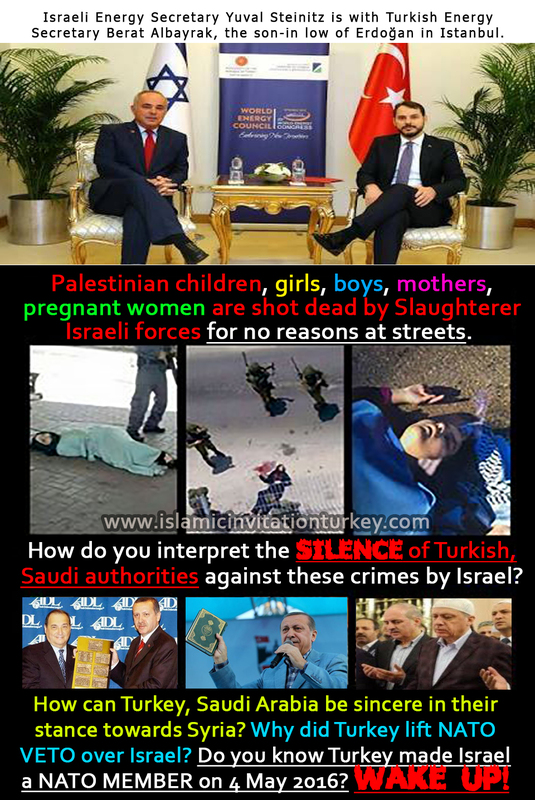 Erdogan expelled the Israeli ambassador in 2010 after nine Turkish citizens were killed when Israeli commandos raided the Mavi Marmara, part of a flotilla that was attempting to reach Gaza. Turkey was among the first countries to send Israel assistance after a wave of wildfires broke out across the country last month. “The normalization of relations between Turkey and Israel has great significance for the whole region,” said Erdogan during a phone call from Israeli President Reuvin Rivlin thanking the Turkish president for the firefighting help. After years of tension, this year both countries approved a reconciliation deal that entailed Israel paying $20 million (17.8 million euros) in compensation. Jerusalem and Turkey have been pushing to complete the deal for months, with Israel in search of a potential customer for its offshore gas exports and NATO member Turkey wanting to restore its regional clout, analysts said. The United States also pushed for the two countries to resolve the dispute as it seeks cooperation in the fight against extremists from the Islamic State group. Turkey has appointed Prime Minister Binali Yildirim’s foreign affairs advisor Kemal Okem as its ambassador to Israel. THE FORMER HEAD OF ISRAELI INTELLIGENCE SHIN BET REVEALS SECRET SATANIC PLAN BEING STAGED THESE DAYS: LET SUNNI COALITION(TURKEY-SAUDI ARABIA..) FIGHT IRAN TO PROTECT ISRAEL AGAINST PALESTINE! Amy Ayalon: We have to create a kind of reality. Realistic reality. We are living in Middle East. Then let’s go back. If you are asking me. What is the reality? What should be the future of Middle East? Ten years from now? I will tell you, the whole concept of stability, security, statehood, should be based on some of parameters. First of all, we have to accept that it is VERY VERY IMPORTANT to create a coalition, a SUNNI COALITION that will be lead by Turkey. LET’S WATCH THE PLAN OF AMY AYALON, THE EX-LEADER OF ISRAELI SHIN BET (INTERNAL INTELLIGENCE SECURITY), SAYS HOW THEY CAN USE SUNNISM. Charlie Rose: We have turned to the question of Iran. Charlie Rose: What should Israel do? Amy Ayalon: Iran is a unite site. We cannot live with Iran having a nucleer military power. We sould not accept it. It is clear and open that Israel is very uncomfortable of Iran’s power. Is not it apparent that those who spill out their hatred against Iran are helping to Israel? Amy Ayalon: The question is how much time do we have? And what should we do? Now for me, how much ime do we have is with a correlation to what should we do. Israel is confessing that its moment of being eradicated by Iran is very close. 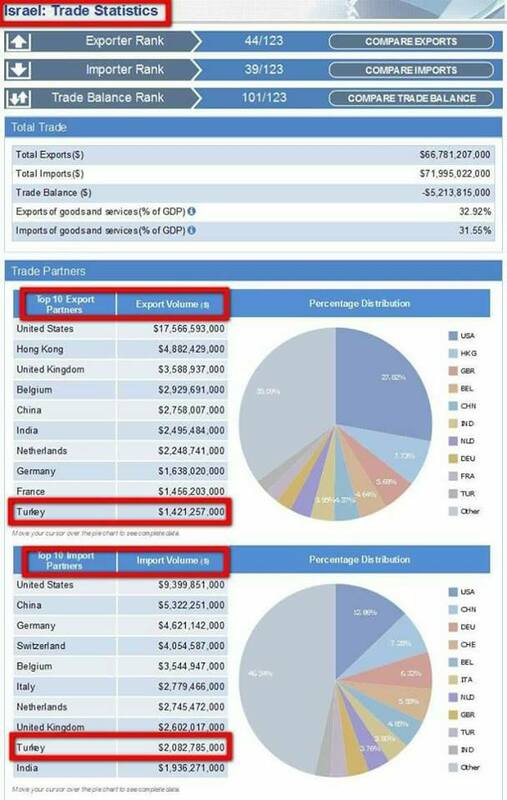 However, Turkish Economy Minister of AKP (Turkish ruling Party of Erdogan) explained how they would help Israel and he prayed for Israel during Israeli dirty war on Gaza in 2014. Amy Ayalon: Because if we are going to unilaterally without an American or ınternational support without creating an athmosphere in the Middle East, it is not only we shall have to face the reaction. Probably it is too late. All what we can achieve with our military power is probably to delay the program. I do not know… for 12, 18 or 6 months. But if assumption is that we are a part of that coalition, based on a kind of SUNNI coalition. It is clearly understood that Israel is organizing the Shia-Sunni polarization in Iraq, Syria, Yemen. Moreover, Turkey, Egypt, Saudi Arabia are moving in this planned context. Charlie Rose: What do you mean by Sunni coalition? Amy Ayalon: Sunni coalition that means Turkey, Egypt, Jordan, Saudi Arabia understand that the major conflict is Shia led by Iran and they create this coalition as I mentioned before. You know.. to create this coalition that will face Iran. The Palestinian- Israeli conflict okay..
“He who does shiism while he is a Shia and he who does sunnism while he is a Sunni is neither Shia nor Sunni; he is the hand of Imperiailsts among us.